If you have not yet taken a getaway this summer, you should consider heading to The Naples Beach Hotel & Golf Club in Southwest Florida to take advantage of the 3rd Night Free offer that is available at the Gulf-front resort through September 30, 2017. In addition, guests at the AAA Four-Diamond resort always benefit from no resort fees, complimentary valet parking and self-parking, and complimentary access to the resort’s fitness center. 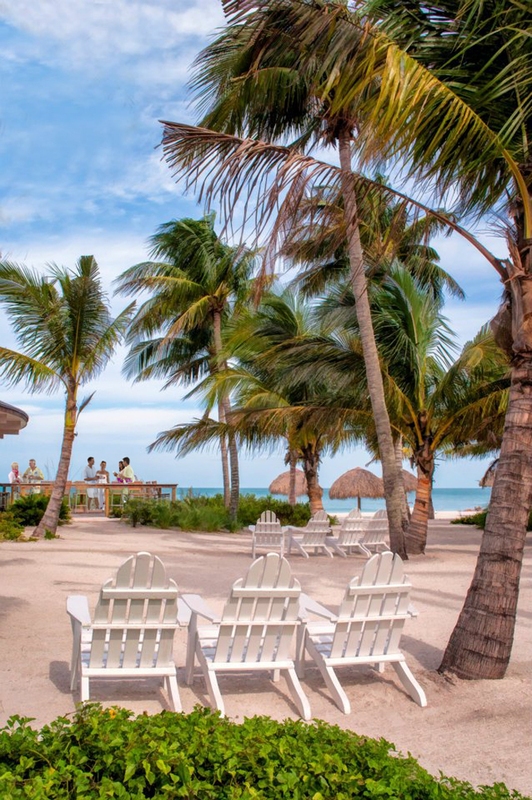 Featuring a truly beautiful setting on the pristine soft white-sand beaches of the Gulf of Mexico, the resort has spent more than $50 million in impressive renovations and enhancements over the last few years. This included the recent dramatic renovation — almost reinvention — of its championship golf course. Completed in November 2016, the $9 million total redesign of the resort’s course was done by golf icon and acclaimed course designer Jack Nicklaus in collaboration with renowned course architect John Sanford. Not a golfer? Certainly not a problem. Set on 125 lush acres, the picturesque beachfront resort also features an impressive array of other on-site recreational options. 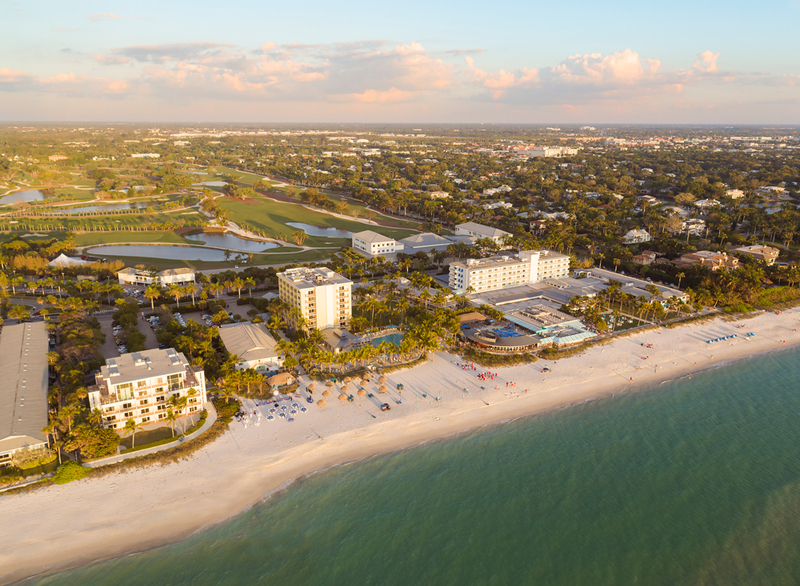 In fact, the resort is Southwest Florida’s only beachfront resort with a championship golf course, a world-class spa, and an award-winning tennis center all on-site. 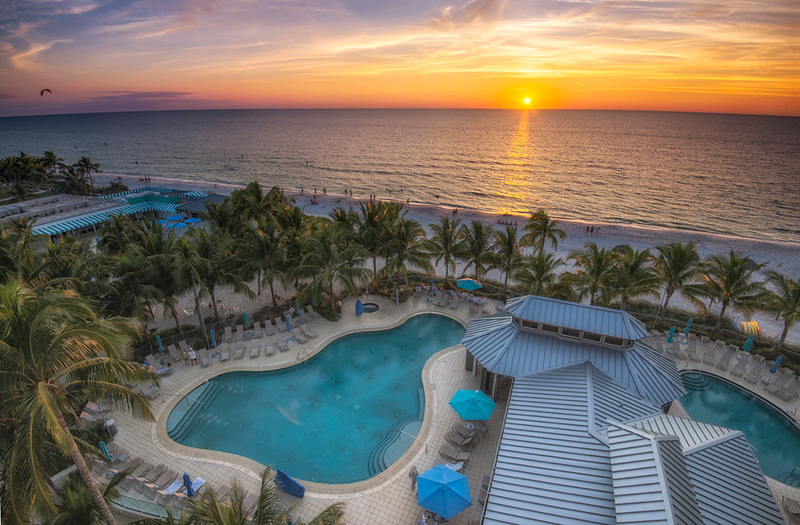 For more information or for reservations, call (800) 237-7600 or (239) 261-2222 and ask for the special “Summer in Paradise Promotion.” Or, visit NaplesBeachHotel.com , specifically the “Specials” section on the website. Note that the offer is based on availability, with holiday weekends excluded, and blackout dates may apply. The promotion may not be combined with any other offer, and is not applicable to groups. 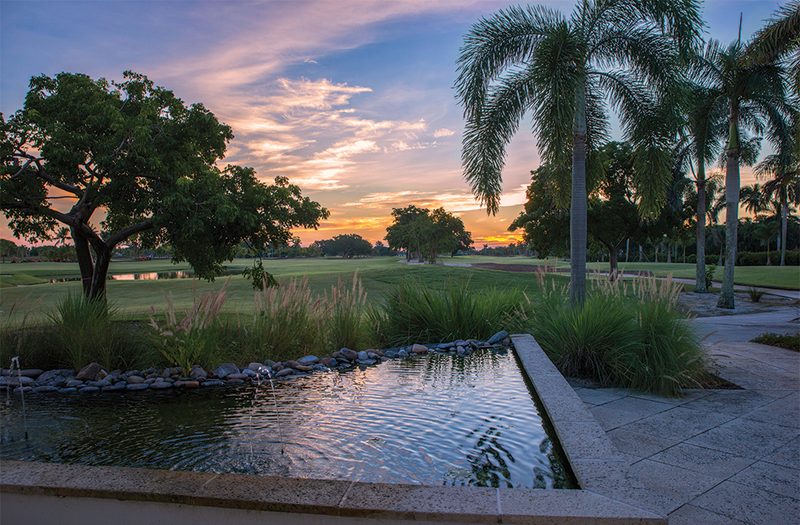 Taking advantage of this appealing offer is a great way to experience the resort’s beautifully redesigned par-71 golf course. Featuring five tees, ranging from 4,800 yards to over 6,900 yards, the course was redesigned to challenge the best players but also be enjoyable for all golfers. In addition, the resort added a 300-yard practice and teaching range, and has new golf carts with GPS tracking systems to aid golfers with yardages on each hole, thus helping pace of play. If golf is not your game, there are many other appealing options on site. This includes the resort’s world-class spa, which offers an impressive array of relaxing massages, refreshing body treatments, restorative facials, manicures, pedicures, and salon services. 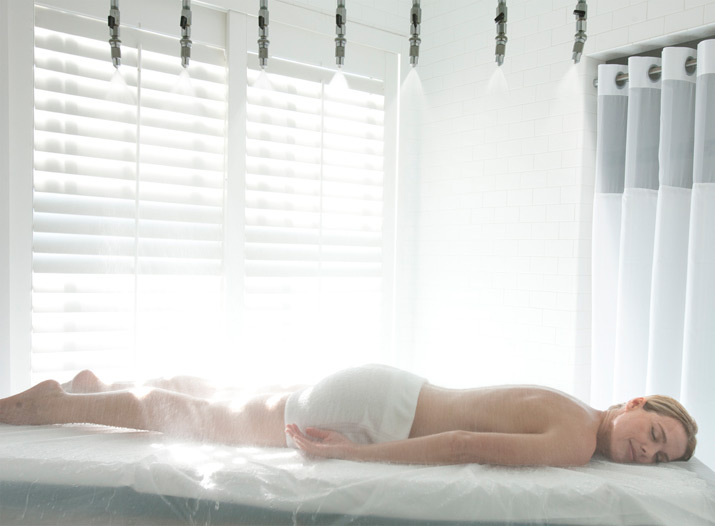 Featuring nine individual spa treatment rooms, The Spa has separate women’s and men’s relaxation areas and locker rooms, saunas, steam rooms, whirlpool baths, a fitness center, an aerobics studio, and a full-service salon. Among the many enticing services offered are the Signature Medley Massage, Aroma-Reflexology, Hot Stone Massage, Essential Facial, Express Mud Detoxifying Body Wrap, Lemon Verbena Body Polish, and Tropical Glow Sugar Scrub. Complemented by seven miles of pristine white-sand beach, the resort also features a beachfront pool complex with two pools, whirlpools and locker facilities; the Mary C. Watkins Tennis Center with six Har-Tru courts; Beach Kids Club, a complimentary daily recreational program for children ages 5 to 12; beach rentals; and retail shops. In addition, the resort also offers multiple restaurants and lounges. This includes: the signature beachfront restaurant HB’s on the Gulf, featuring indoor and outdoor dining; Broadwell’s restaurant, overlooking the golf course, with comfortable new furniture and multiple TVs, open daily from 7 a.m.-sunset; and the Seminole Store, which offers deli sandwiches, ice cream, gourmet coffees and a variety of freshly baked pizza, pastries and desserts in a café atmosphere. The popular The Sunset Beach Bar & Grill has been recognized as the “Best Place To View A Southwest Florida Sunset,” and was named “Naples’ Best Beach Bar” by Travel Channel. The resort’s 319 guest rooms and suites feature cool tropical color linens, fabrics and carpeting; flat-panel televisions; patio or balcony (with a view of the Gulf, golf course or the lush resort interior); coffee maker; and refrigerator. Situated just blocks from Naples’ renowned shopping districts of fashionable 5th Avenue South and historic 3rdStreet South, the resort is also within minutes of shopping at Venetian Village, Waterside Shops, Bayfront and Tin City. Guests can also experience the area by taking tours of the Everglades, Naples Zoo at Caribbean Gardens, Corkscrew Swamp, The Botanical Gardens, or the Conservancy Nature Center. Boat and fishing trips also can be arranged at the hotel. Other leisure time activities can include Naples’ outstanding museums, theatres, and art galleries.